Almost every member State of the United Nations attended the June 2012 United Nations Conference on Sustainable Development (Rio+20), and agreed by consensus to the outcome document, "The Future We Want." That outcome document was then endorsed by consensus by the UN General Assembly on 27 July 2012. 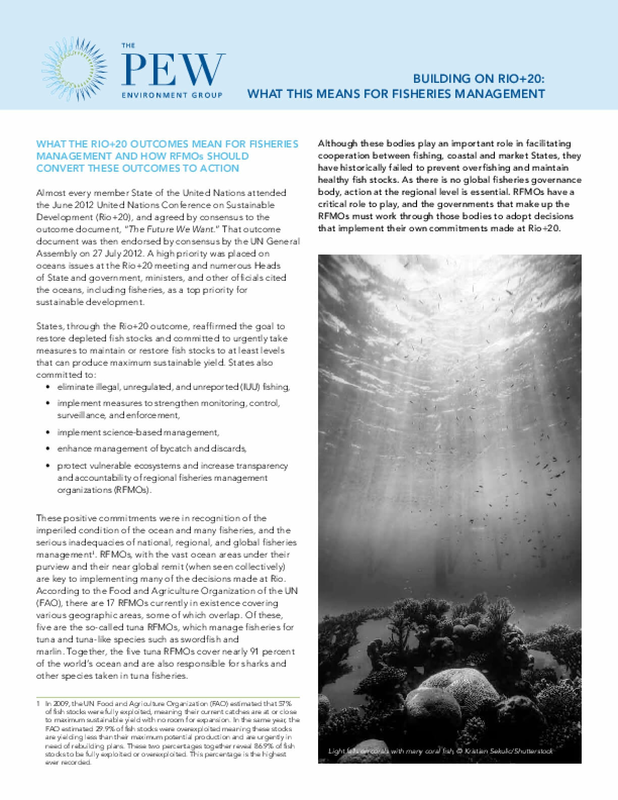 A high priority was placed on oceans issues at the Rio+20 meeting and numerous Heads of State and government, ministers, and other officials cited the oceans, including fisheries, as a top priority for sustainable development. Copyright 2012 by Pew Environment Group. All rights reserved.